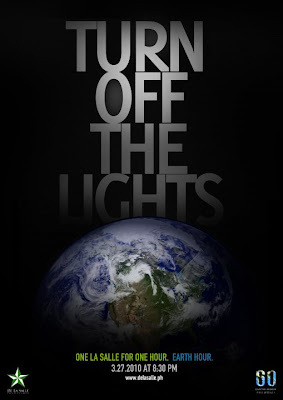 Earth Hour 2010 takes place on Saturday 27 March at 8.30pm (local time) and is a global call to action to every individual, every business and every community throughout the world. It is a call to stand up, to take responsibility, to get involved and lead the way towards a sustainable future. Iconic buildings and landmarks from Europe to Asia to the Americas will stand in darkness. People across the world from all walks of life will turn off their lights and join together in celebration and contemplation of the one thing we all have in common – our planet. It starts... but then the sparking burst! You judge importance by its mass. Of acid really—learn to think. Of little nothings come aware. For trifles; loved their micro-sun. You know, and envied us as well. I care for them: they called me God. With speech, I seemed to end their dread. They scattered, left their rocky clod. They hoped to find enlightened grace. It's there, I said, in every place.